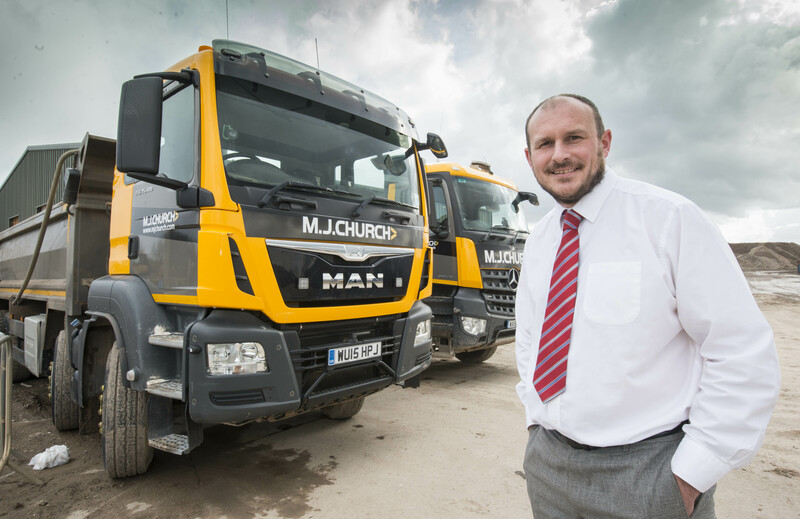 MJ Church has seen a robust year of trading and is looking forward to a strong pipeline and further investment for 2019. In the year to 30th September 2018, the family owned business saw turnover increase some 10.5 % and pass the £50m mark for the first time in its history, from £47.6m in 2017 to £53.2m in 2018. Early in 2018 the company undertook a comprehensive restructuring of commercial teams across the business focusing on three main business units of Civil Engineering, Plant & Transport and Waste Solutions. The principle objective was to maximise the businesses potential to deliver vertically integrated work utilising in-house services across key sectors of infrastructure, public sector, commercial, industrial and residential. Ben Staff, Group Managing Director, expands on a successful year, “Principal objectives within the Civil Engineering business have been to secure principal contractor work, opening up a broader client base for us. We have secured principal contracts with clients including Dyson, Bloor Homes, Crest Nicholson, Countryside Properties and Highways England and continue to be able to engage the services of our Plant & Transport division with this work providing a much greater degree of control. We continue to secure large subcontract works, predominantly in the earthworks and highways sector on major projects such as a new junction on the M49 north of Bristol. We have seen greater increased awareness of waste recycling through high profile campaigns; natural historian David Attenborough’s campaign has very much brought the issue of plastic waste to the fore. We have well established supply chains for the processing of waste and plastics. We have a team in place that explore innovative end markets for the waste we process such as ‘waste to energy’, where waste that cannot be recycled back into a supply chain in converted to a fuel source. Significant investment in technologically advanced processing facilities is planned in 2019 to support these processes. For the business though, there are some real uncertainties ahead, like many in the industry, MJ Church are feeling the effects of the skills shortages, “We are having to think outside the box now on recruitment,” comments Ben, “We continue to train and develop young people and I’m really excited by the caliber of people we do have, but with growth comes the requirement for more people and with different skill sets. Uncertainty and instability are big issues for all businesses; for us we continue to monitor bulk material and fuel prices along with commodity prices for waste which have a significant impact on our business.